Chroma Global Flooring Solutions are specialist flooring suppliers who work closely with end users and managers providing designer lead beautiful floor products that offer solutions specific to the care industry. FowlerUK specialises in the supply, installation and maintenance of Commercial Laundry and Catering Equipment. Our service department can tailor make a package to suit your business requirements, from reactive call outs to fully inclusive contracts covering all parts/labour/annual gas service and certification. As industry leaders in the design and manufacturing of wireless nurse call systems, Medicare Systems offers a professional and friendly service from initial consultation through to installation and after-sales support. Health Metrics is a leading provider of software and consulting services to the health and aged care sector for Australasia, the UK and NZ. Our enterprise software solution, eCase®, supports the functions of Residential Aged Care, Home Care and Retirement Villages. Aid Call has been at the forefront of wireless nurse call technology for over 30 years. We offer safe, quality, reliable solutions to meet your individual requirements and budget. 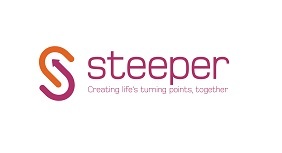 Helping the care home sector create safe and comfortable environments. Beaucare® Medical Ltd is the UK leader in care home supplies. 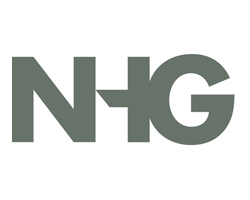 Established in 1992, we offer a full range of nursing, janitorial, hygiene supplies, medical consumables and equipment to private care homes, hospitals and individuals. Dyson has developed a range of technology for public, leisure and work spaces. Each machine is designed with productivity and wellbeing in mind – helping to improve the experience for your guests. Digital care planning that enhances the quality and efficiency of your care delivery by reducing paperwork and supporting care staff in their work around the residents. Specialist Energy Data Management service provider delivering bespoke metering technology, highly accurate Data Collection services and Energy Efficiency solutions. The first steps on your journey to better managed energy. 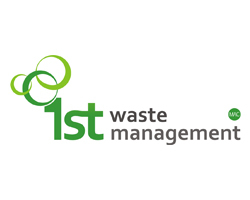 1st Waste Management are a full-service management consultant who believe that a successful business expects and depends on competitive pricing, quality service, reliability and trust. Supplying award winning service to the retail, trade, charity and education sectors throughout the UK. Global Workplace Solutions (GWS) is a division of CBRE uniquely positioned to provide a complete set of services to corporate occupiers of commercial real estate across EMEA.